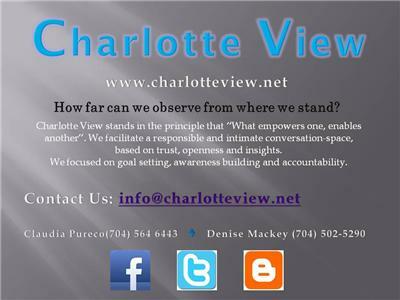 Charlotte View welcomes Claudie Johnson, Managing Director at JareMarc Advisors, L.L.C. 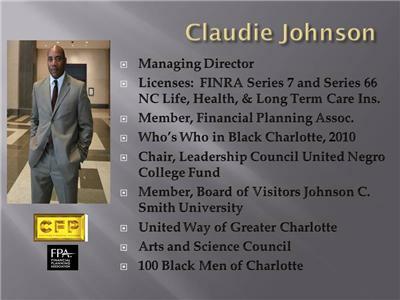 Claudie will talk about Debt Management and Credit and what to consider when you have been long unemployed, with your credit cards full and in the brinks of filing for Bankruptcy. 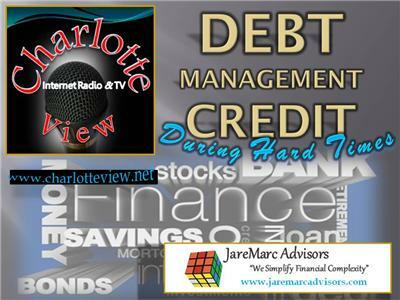 Most stories about dealing with debt assume you have the money to pay most or all of your bills. That's not always the case. Thanks to bad planning, bad decisions, bad luck or a combination of all three, sometimes you just don't have the scratch. Yet filing for bankruptcy isn't always the solution. So what are your Options? Bankruptcy? Chapter 7? Foreclosure? It can be helpful, in those times, to understand how to create some breathing room for yourself so you can formulate a plan to get back on your feet while minimizing the long-term financial fallout. Unfortunately, many people in financial crisis simply stick their heads in the sand, refusing to admit the severity of the problem and ultimately making matters worse. They pay a credit-card bill when the mortgage is due, for example, simply because a collector is pressuring them, or they stop paying any of their bills because they can't pay them all. Knowing which bills must be paid and which can wait -- and for how long -- is essential for your financial survival.